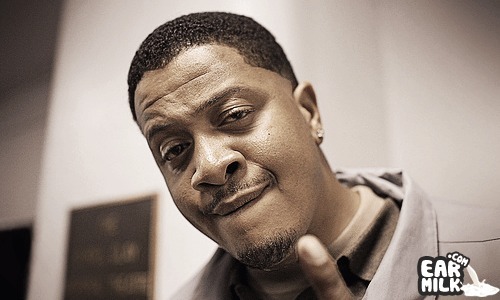 Jurassic 5 co-founding member Chali 2na is back in the mix with a brand new joint he calls "Change the world". The new record sees Chali working alongside his 3 piece band known as the House Of Vibe to deliver a majestic blend of live instrumentation laced with hip-hop elements. The gruff-voiced emcee, on the other hand, hasn't skipped a beat as he proceeds to lace the vibrant backdrop with a fiery delivery while kicking knowledge for fans along the way. The smooth sample like chorus was concocted by singer Res. "Change the world" is another notch for the Grammy award-winning emcee since he dropped his debut 'Fish Outta Water' in 2009 and embarked on a career-defining mission called "Against The Current," a music + art project that combines a 5-part series of genre-bending EPs with a coffee table book featuring original artwork and photography.